Spirocerca lupi is a worm that affects dogs in RSA and some Mediterranean countries. 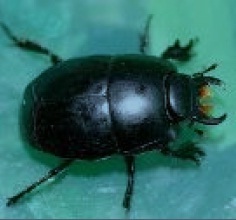 The life-cycle involves a dung beetle and the immature worm is transmitted to the dog when it eats an infected dung beetle (or ingests anything that may have eaten a dung beetle e.g. birds,lizards etc.) Your dog cannot get Spirocerca from eating dog faeces. The adult worms cause nodules in the oesophagus (see photo) and symptoms include weight loss,regurgitation (many owners perceive this as “vomiting”)and difficulty swallowing. Sudden death can occur due to rupture of an aortic aneurysm (a thin, weak area of the artery wall) caused by the parasite migrating through the aorta. Oesophageal nodules can also become cancerous over a period of time. Can I prevent it from happening to my dog? Due to the increase in prevalence of this parasite in dogs in RSA, more research is being done on S.lupi and hopefully more economical diagnostic tests and treatment will become available. Recent studies have been done on a group of medications called macrocylic lactones as a monthly preventative against S.lupi. Although these medications are not 100% effective in preventing the parasite, treated dogs that did become infected showed less severe lesions and clinical signs. remain the only registered medication for dogs that have shown promise in preventing this terrible disease. 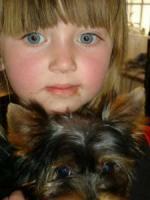 We advise monthly treatment of all puppies from the age of 6-8 weeks. Adult dogs starting on preventative treatment need a blood test called a Knotts test prior to starting treatment. This is to rule out infection with a harmless blood parasite called Dirofilaria which occurs in KZN. Dirofilaria does not cause clinical disease in dogs however affected dogs may show an allergic reaction when treated with macrocyclic lactones. The Knotts test is not mandatory and pet owners may choose to start treatment without it, however as we have had some dogs testing positive in the past, we do recommend this precaution. Additional measures to prevent S.lupi include removing dog faeces from the property daily and trying to prevent your dog “hunting” lizards, birds etc. (not always feasible!). UNDERSTANDING POISONING OF YOUR PETS. Various agricultural insecticide products as well as products used to control external parasites on animals are available on the market. A lot of these products contain organophosphates or carbamates as active ingredients (the poison). Carbamates and organophosphates are related toxins that affect the nervous system of humans and animals, interfering with conduction of impulses to the heart, muscles and intestinal tract. The most commonly perceived product to be used for malicious poisoning contains the active ingredient aldicarb/temik which is formulated as small black granules that resembles poppy seeds. However other granular products may resemble the aldicarb granules and in some cases differently coloured granules may be coloured black by criminals. These granules are tasteless with a very slight sulfur-like smell. NB! Not all of these signs might be present and non of these signs as a single signs is diagnostic for poisoning, it is the total picture that counts! Human contact with the poison (bait) itself, the animal’s vomit or diarhoea can lead to human intoxication. Wrap the animal in a blanket as to avoid direct potential contact and also it will keep the animal warm. Use rubber gloves and wear glasses (even sunglasses) as the poison can be absorbed from your eyes, skin or inhalation of dust from the contaminated soil. Any skin coming into contact with the poison should be washed immediately with soap. Get your dog to the vet as soon as possible, time is of the essence. Intensive veterinary treatment is required as soon as possible as both poisons usually result in rapid death. * If you noticed your pet is still alert but not vomiting, give it dishwashing liquid or washing powder with warm water to make it vomit. Don’t spend a lot of time doing it as you need to get to a vet asap. * If your animal has already vomited or is not alert, DON’T give anything orally (washing powder or activated charcoal) as the poison causes the throat muscle to become paralyzed and the oral treatment to end up in the lungs which is a death sentence also. * If you have atropine at home you can administer 0.5mg/kg intramuscular to buy you time to get to the vet. * Do not make the mistake of thinking if your dog is looking better after the atropine injection you won’t need any further veterinary assistance as poisoning causes many problems in your animal that should be dealt with to maximize the chances of survival. 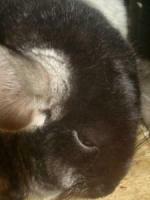 * Animals can die a couple of days after successful treatment at first. If your pet survives and is sent home, it should continued to be monitored for further clinical symptoms as these toxins are taken up by the liver and then excreted via the biliary tract it could be recycled and reabsorbed from the intestines causing recurrence of clinical symptoms. If this occurs, the animal should be returned to the veterinarian immediately. * The poison causes fluid secretion in your dog’s airways, amongst other things, that causes your dog to drown in it’s own body fluids. The muscle spasms as well as paralysis of the breathing muscles lead to respiratory failure. The seizures causes brain damage. These are but a couple of things happening in the body and therefore your animal need further treatment to support the organ systems, sort out what is happening in the gut, bronchi, heart, muscles, nerves and brain. * Carbamate or organophosphate based products should not be used on affected animals for at least six weeks after recovery. Keep children and other pets away from the contaminated area! Search the environment for bait, which is usually meat of some sort with these small gunmetal granules in it. Always wear rubber gloves, long sleeves and pants, closed shoes and glasses when cleaning up the poison. - Soil: moisten the soil with water to prevent dust forming when scooping up the contaminated soil. - Place the soil in a thick plastic bag. - If there are edible plants growing in that soil, DO NOT consume any of it as the toxins are taken up by the plants. - Make sure the water (contaminated with poison) do not run off into the public sewer system or any waterway. - Lawn: mow the lawn so that loose lying granules can be collected by the lawnmower and then correctly disposed of. - In cases of severe contamination the services of a qualified de-contamination organization should be utilized to clear the respective areas and to dispose of contaminated materials at an accredited depot. - Clothingworn when cleaning up the toxins should be incinerated or washed in soap but that water should not end up in the normal sewerage but disposed of in a 1m deep hole away from water sources or off flow. The bodies of dead animals should be incinerated as incineration temperatures will destroy the toxin. If incineration facilities are not available the animal should be buried at least 1 meter deep, away from food and water supplies. Cover the body of the animal with lime or soda ash before covering with soil. ECO-A RTH i s a remedy for th e treatmen t of an imal s w i th ch ron i c jo in t p rob l ems a s s o c ia ted w i t h d eg en erat i v e d i s ea se. Parties etc. Unfortunately, enjoyed by people, they frighten many animals. 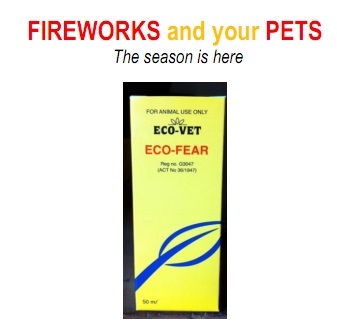 If you're worried about your pet's reaction to fireworks you should ask your vet for advice. The earlier you do this the better the outcome. Muffle the sounds of the fireworks by closing windows and curtains. Put on some music or the TV. finished you can make a fuss over them as they emerge. your pet from their hiding place, this could lead to aggression. 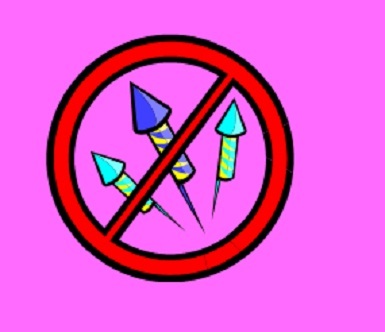 Fear of fireworks doesn't get better on it's own, it is likely to get worse over time and lead to other behavioural problems. loud noises. The earlier you seek help the better the outcome is likely to be. This highly effective alternative for Cortisone will assist in the healing and relieving of Eczema, skin conditions associated with grass allergies, hot spots and allergies to fleas, as well as minor wounds. Animal healing gel is a non-irritant, non-toxic natural gel and has anti-fungal and anti-bacterial properties.Animal healing gel is water based and is easily applied to the animal’s skin. CHECK WITH YOUR OWN VET FOR THE CORRECT DIAGNOSIS. One of the most common medical issues dogs develop as they age is Arthritis. Arthritis in dogs can lead to pain that requires medication or, in more severe cases, surgery. That's why it's so important to know if your dog is at risk and to take preventative measures. Not all dogs have the same level of risk. Large dogs are more likely to develop arthritis, as are overweight dogs, agility dogs, working dogs or sporting dogs. Even if you know your dog is at risk, it can sometimes be easy to overlook symptoms of arthritis. If your dog shows any of these signs, get him to a veterinarian - the sooner the better. To help reduce the risk of arthritis, make sure your dog gets enough exercise and eats right. A proper weight and healthy diet can make a significant difference in your pets health and arthritic risk. Even if you find out that your dog does have arthritis, don't feel that medicine and surgery are the only options. When you switch to Sashas Blend, you can begin to see changes in your dog within 1 week. Because Sashas Blend is scientifically formulated and has full safety and efficacy studies taken, we guarantee it will do everything we say it can do. it is a registered medicine. Dogs feel pain just like humans do. Don't put your dog through pain or surgery - watch out for signs of arthritis and visit your veterinarian if you suspect that your dog is showing symptoms. Ask your vet for the best treatment for your dog - ask for Sashas Blend. Winter is fast approaching and with it comes the risk of your dog going down with this type of cough. This particular cough is highly contagious, infectious disease that can arise from a variety of viruses, bacteria mycoplasmas and fungi. Commonly caused by the parainfluenza virus and infectious bacteria. Easily transmitted by respiratory secretions, such as cough, sneeze droplets and this travels through the air and infects other dogs in the vicinity. This can be spread amongst dogs in close contact with one another, also in boarding kennels hence the name KENNEL COUGH. Dry cough, sneezing, snorting, gagging and periodically vomiting after a coughing episode. If your dog is showing any of the above symptoms, you need to see your vet for a course of treatment. ALL COUGHS are not necessarily Kennel Cough related. Your dog does not have to have been in a kennel or been in close proximity to other dogs to end up with Kennel Cough. Your vet will decide what is the best treatment for the dog on hand. The disease will last for 7 – 14 days. Remember other dogs in your home or close proximity may go down with this as well. HOW CAN I PREVENT THIS FROM HAPPENING TO MY DOG? Inoculations are available. Some will protect your dog from viruses whereas others will protect from bacteria. In all probability if you kennel your dogs when you are on leave, the Kennel concerned will require your dog has proof of having been inoculated against Kennel Cough. We have discussed this before, mainly as a result of getting enquiries from the public having purchased a pup with this problem. We at MIJOY have never ever had this disease - we inoculate. Here are some extracts from a leaflet I happened to pick up at my vets last week, as well as commonly known info on this disease. What is parvovirus??? Also referred to as cat flu although has nothing at all to do with cats. Highly contagious disease can spread from dog to dog, puppy to puppy, directly or indirectly. Main source of contamination is faeces and infected soil etc. The virus attacks rapidly damaging the lymph nodes, intestinal lining and bone marrow. The rapid death of the intestinal cells results in a breakaway of the intestinal lining, resulting in vomiting, diarrhoea and severe intestinal bleeding. If not treated your pup is going to die. The smaller the pup, the more risk to the pup. This disease requires prompt treatment by your vet. HOW IS THIS DISEASE TREATED? First it is a virus, so only the symptoms can be treated not the disease itself. Your vet will treat the dog to avoid dehydration and loss of proteins. The pup will need a lengthy stay in the clinic of more than likely, at least a week. The pup will also receive electrolyte and fluid treatments as well as antibiotics. A symptom of this disease is severe vomiting so anti–nausea drugs will also be administered. Plasma transfusions can become necessary. Your vet may very well have to resort to force feeding or tube feeding, as most of the dogs will not eat on their own. Glucose, potassium and blood proteins will all have to be monitored closely in your ailing pup/dog and corrected by your vet if necessary. PREVENTION IS ALWAYS BETTER THAN CURE – HOW DO YOU PREVENT YOUR DOG OR PUPPY FROM CONTRACTING THIS DISEASE. Inoculation is THE ONLY way. All pups should receive three inoculations, the first at 6 weeks, the second at 10 weeks and the last one at 14 weeks of age. Only at this stage, after all four inoculations, will your puppy be considered as being fully inoculated. Prior to this age you should not have your puppy out in public places. The reason - if you go to puppy classes or want to attend puppy training classes, socialising etc, they will only accept your puppy from four months of age and will insist on you supplying them with the pups proof of inoculation certificates. What can I do to ensure my puppy I am buying from a breeder does not have this problem??? Simple – do not buy a pup that is not inoculated. Only buy a pup that is inoculated and has had the time to develop a certain amount of immunity from that initial inoculation. If the pup was inoculated by the breeder at 6 weeks of age, the best time to take your pup would be at 8 weeks of age. Three inoculations are given that on the off chance of one not taking effect, the other two will. Hence the reason to keep your pup home and not walking the streets, until all inoculations have been given. If there is the faintest possibility that the pup has been exposed to the parvovirus it SHOULD NOT be inoculated till sufficient time has passed to ensure it is not incubating the disease. NO pup should leave a breeder if this is a possibility. Remember – there is an incubation period for this disease to manifest in a pup. The reason that a Lady lost her pup she had purchased five days later. The pup was incubating the disease. Purchased pup day one, day four showed signs of parvo and admitted to veterinary clinic – day five – died from parvo. If a pup is incubating a disease and then is given an inoculation on top of that, the pup is going to become considerably ill as a result. How to I overcome the problems on my property as a result of having an infected pup??? Use diluted JIK just ensure it is on the infected areas for a minimum of ten minutes before removing. If you want to disinfect areas where bleach can do damage use the F10 treatment available from your vet. It is very important that you ensure you do clean all the areas and disinfect all those areas this pup has had access to. Remember PARVOVIRUS is a young dogs disease, so will affect puppies and young adult dogs only. This however does not mean you should ever neglect inoculating your dog. Parvo is just one of the diseases included in the dog inoculation. Inoculations should be given annually by your vet once all three initial inoculations have been given and a complete health check done by your vet at the same time. PLEASE remember that a lot of pups lose their lives from Parvovirus. REMEMBER – if you intend bringing in another pup to your home where one has just died or just recovered from Parvovirus you should be careful, as the virus hangs around for a lengthy period of time, possibly infecting any new pup you may bring into the home. How do you overcome this???? Simple, ask your breeder to inoculate your pup at 6 weeks and keep it a further four weeks when it can have its second vaccination – wait a further week before taking your new pup home. If you do not want to wait till your new pup is 11 weeks old before taking it home, hold back on buying a new pup for 6 months. It is believed that this virus can be in the environment for that length of time, still being able to infect your new puppy. One of the most serious concerns is that of staff walking this disease onto your property, visitors etc. Can be carried on shoes etc. REMEMBER sterilisation should be done at 6 months of age. Prior to your dog becoming sexually active. Large breed dogs will come on heat anytime from 6 months of age, the smaller breeds will in all probability come on heat at 9 or 10 months of age.